At Honda Tygerberg we strive to provide our customers with the best service. 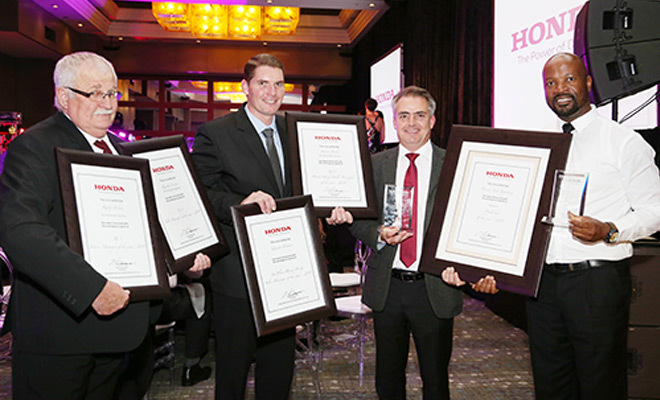 That is why we are thrilled to announce that Honda Tygerberg walked away with various prestigious awards at the annual Dealer of the Year Awards. We would like to take this opportunity to thank our team for their hard work and dedication as well as you, our loyal customers, for your ongoing support in helping us reach and exceed our goals. We look forward to continuing our fruitful relationship with you and strive to deliver a service that will make you proud to be associated with our award winning branch. Here is to another fantastic year at Honda Tygerberg!